highly emulational shape with the-state-of-the-art workmanship. can allow many RC aircrafts to fly in the same field and same time. servo extent adjustment and built-in gyro sensitivity adjustment. 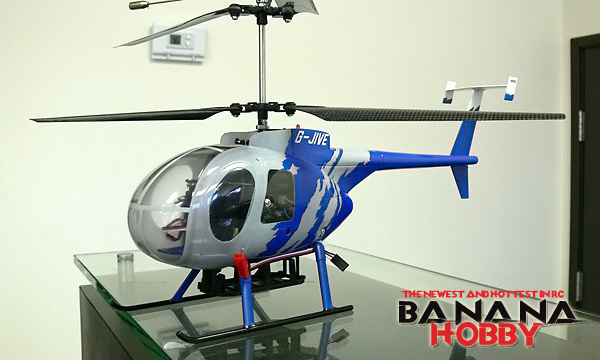 offers 15-to-20 minute flight time, depending on the flight modes. (5). Battery : 7.4V 800mAh Li-po. (8). Gyro : 3D Gyro & attitude control. and bring you more fun. on a 7.4V 800mAh LiPo . 3D gyro and attitude control provides precise locating in air. ( 3D Gyro & attitude-kontroll ). med 4 kanaler og 2.4 Ghz RC ( Walkera 5# 2.4G ). Leveres nÃ¥ med 3D gyro og attitude-kontroll. Er laget av Carbonfiber, som gjÃ¸r den meget sterk. - Batteri : 7,4V 800 mAh Li-po. - Flytid : ca. 10 - 15 min. - Ladetid 20 - 90 min. - MÃ¥l : 50 x 50 cm. 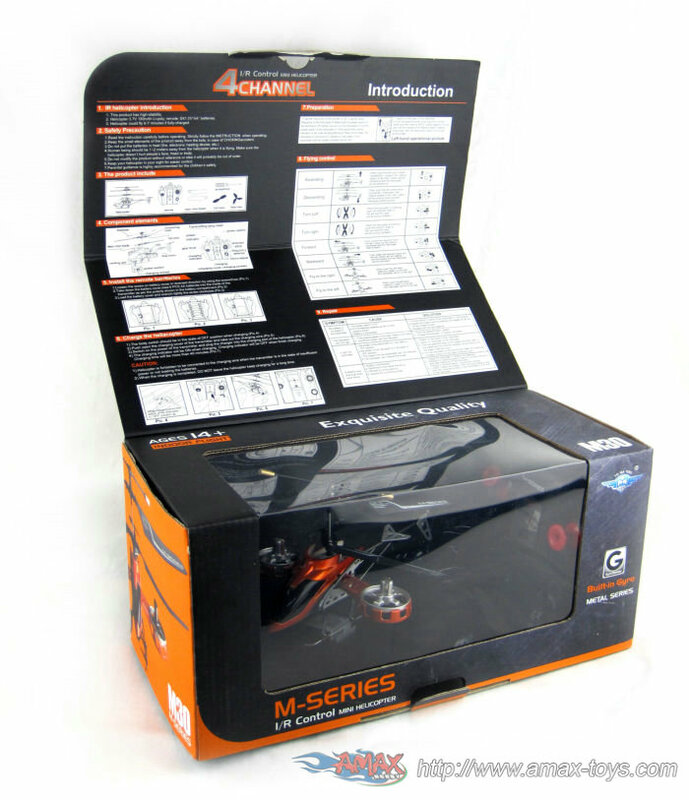 med 4 kanaler og 2.4 Ghz RC ( Walkera HM 53#Q3 2.4G ). Leveres med dobbel-rotor system, for ekstra stabilitet. Er laget av Carbonfiber & forsterket plast. Kan styres i alle retninger, med rekevidde 1000 m.
- Batteri : 7,4V 1200 mAh Li-po. - Flytid : ca. 15 - 20 min. - Ladetid 30 - 90 min. - Lengde : 41 cm. 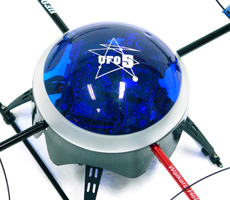 4 CH 2.4GHz Walkera UFO #5 Remote Control Electric RC UFO RTF. reliability and peace of mind when flying. when compared to a standard frequency system. model clubâ€™s point of view is that no frequency control is needed. with the wrong crystal in your Tx. the pilot of a hovering UFO. furniture and they also help minimize the possibility of people getting hurt. anticipated because of it's special nature. 20 aircrafts to fly at the same field at same time. More stable flight, even first timer can control easily. Reliable high quality mixer with built-in gyro board. Factory Pre-assembled, zero assembly time. which is not easily break. - only required 8 AA batteries for the transmitter to start flying). - 4 Channel 2.4 GHz Spread Spectrum Multifunctional R/C Transmitter. - High Quality 7.4V 800 mAh Li-Po Rechargeable Battery. Er laget av Aluminium, som gjÃ¸r den meget sterk. rotere til hÃ¸yre og til venstre ( 6 retninger )..
kan Gunshipet stÃ¥ helt stille i luften uten at du rÃ¸rer RC'en. - Batteri : 3,7V 140 mAh Li-po. - 3 valgbare frekvenser (3 Gunship kan fly pÃ¥ likt). - Flytid : ca. 10 min. - Ladetid 30 - 40 min. og 3-akser Gyre gir hÃ¸y stabilitet. og til hÃ¸yre & venstre. bÃ¸yelige rotorblader, tÃ¥ler det gjentatte stÃ¸t. - MÃ¥l : 45 (L) x 16 (B) x 25 (B) cm (1 : 32). 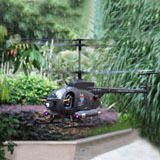 through our High-tech R/C infrared fighting helicopter. - Control system that is also tri-band A, B, C.
two people are allowed to be fun together only for indoor. different frequency in A, B or C.
(A, B, C frequencies are available in each helicopter and transmitter) . 2.switch on your transmitter and helicopter. the head of the helicopter. then fall on the floor. 5.Restart the helicopters and game again. It comes ready to fly. the shooting sound will be occured. It is made from tough expanded Polypropylene foam. An incorporated auto stability system making it easy to fly. Recharging takes place via the included transmitter. Power Indicator, a Left/Right Lever and a Trimmer. It can fly with 3CH : Up/Down, turn right/left, forward and backward. A lightweight Lithium Polymer flight battery. A small blue LED strobe light that flashes in-flight for night flying. A charge of 30 minutes is equal to a 10 minute flight. Requires 6 x AA Batteries for the transmitter (not included). med 4 kanaler og 2.4 Ghz RC. til hÃ¸yere, til venster, sidelengs-venster & sidelengs-hÃ¸yre. USB kabel, 12Vdc og 220Vac Lader. ( Teknisk date, se til hÃ¸yre ). - Flytid : ca. 20 - 30 min. med lyd & IR-Lys kanon for Ã¥ skyte ned hverandre. 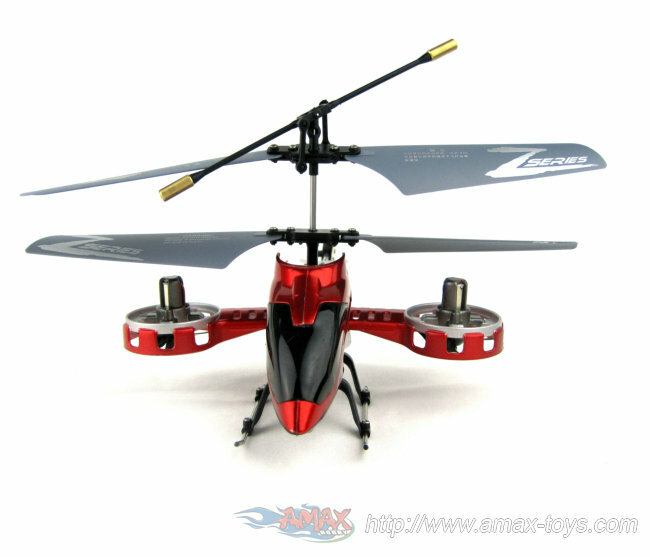 1 st. 3ch RC Apache helikopter. RC = Remote Control (Fjernkontroll). 3ch = 3 channel (3 kanaler). blÃ¥ blinkernde LED, for natt flyvning. NÃ¥r du aktiverer IR-Lys kanonen gir helikopteret fra seg en lyd. Hvert helikopter har 3 frekvenser (A, B & C). Det betyr at 3 kan fly pÃ¥ likt. D.v.s. kjÃ¸per du 2 sett kan tre fly pÃ¥ likt. og kan fly opp, ned, forover, bakover og hÃ¸yre/venstre. Helikopterene er laget av et ubrekkelig Polypropylen materiale. Ved treff faller helikopteret til bakken og mÃ¥ restartes. - Batteri : 3,7V 100 mAh Li-po. - Leveres med 3 frekvensers (A,B,C) IR fjernkontroll. - Ekstra halerotor er innkludert ( 3 cm lang ). - Farge : Sort/hvit & GrÃ¸nn. Anbefalt Alder : 7 - 80 Ã¥r. ( 2 st pr. sett ). (RUDDER, AILERON, ELEVATOR, AND THROTTLE). Durable constructions & Beautiful Looking. 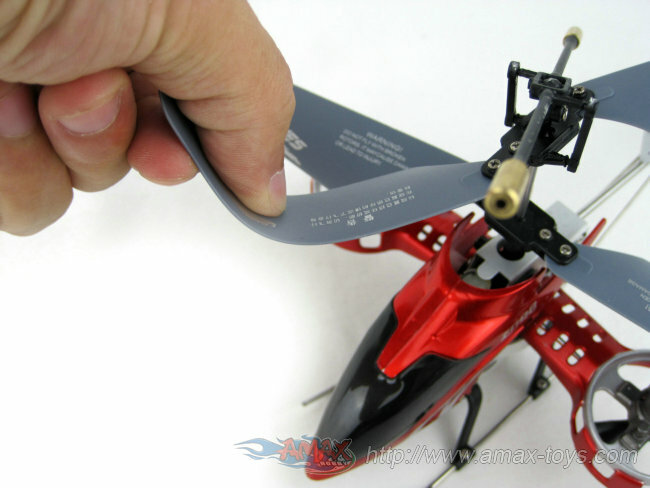 Metal rotor head components for extra durability ! that able to withstand bad crashes and never metamorphose ! on your PC monitor or TV !!! 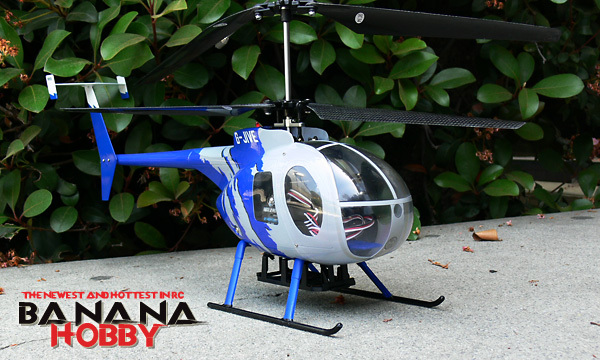 Perfect for Indoor & Outdoor Flying. Very Precise controlling and hovering. that makes hovering a conventional helicopter so difficult. 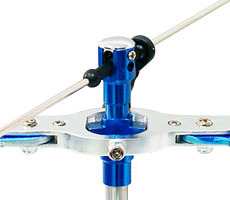 Dual counter rotating rotor which eliminates the need for a tail rotor. of each level of the rotor blades. Powered by 1100mAh Li-polymer battery. Separate servos from mixer, more precision movement. will help to achieve better performance and longer flight time. 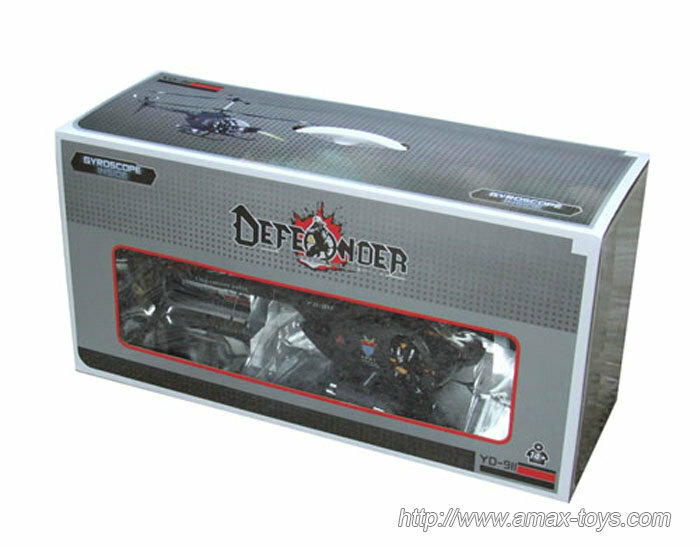 Best choice for Very Beginner and Advanced hobbyist. and can give you excellent training in preparation to fly the big birds ! ! Your Kid will LOVE it, Good for any Age group, Male or Female. Complete Kit, Ready to Fly ( Everything is included and 100% assembled ). Driven system : 2 x 370 carbon brushed motor. Radio Control Range : 330 degree, 1000m. Transmitter w/ Training Switch and Simulator Port. w/ Alligator Clip for Outdoor Charging. ( Practice flying airplanes and helicopters on your computer ).